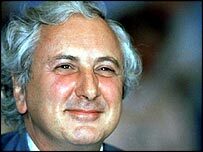 Film director Michael Winner has said he turned down an OBE in the Queen's 80th birthday honours' list. He told the Sunday Times newspaper, for which he is a columnist: "An OBE is what you get if you clean the toilets well at King's Cross station." Mr Winner was offered the honour because of his campaign for a permanent memorial to police officers killed in the line of duty, the paper says. But he told the Sunday Times: "I really don't care if I get anything or not." Mr Winner, 70, added: "I'm very glad that they recognise my considerable skills as a toilet cleaner. "At least if you go straight to the House of Lords you can wear fancy dress and have a giggle." Last year Mr Winner joined the Queen and the prime minister to unveil the National Police Memorial, which commemorates the 1,600 officers killed in the line of duty since the 17th Century. But he told the Sunday Times: "I didn't say when I met the Queen, 'Did you bring your sword dear?'" Here are a selection of your views on Michael Winner's remarks? This debate has now closed. My father received the OBE for well deserved reasons back in the '40s. I do feel that many awards are given today for far less worth. As a side issue, I think the BEM, MBE, OBE etc should be replaced as we no longer have an Empire. Perhaps "Order of the Commonwealth" open to a wider membership of overseas persons ? Winner's comments are an absolute disgrace and disrespectful to those who have worked tirelessly for worthy causes and have been awarded OBEs. Mr Winner obviously believes that he should instead be given a knighthood for his work for Esure and not a mere OBE. He is in a minority for believing so! No OBE for me either just £5.50 per hour as a toilet cleaner. Totally agree. So many are handed out for nothing now. Look at the Ashes series last year, the whole squad got one for winning them back - pathetic. The awards have now lost all meaning, they are given the celebs and sportsmen for doing their job. It's a joke. Your honours system clearly needs an overhaul. The Empire is long gone but you would never know it. Who would want to receive any honour that failed to name the country the person served. As well, any honours system that grants the highest recognition to the likes of Conrad Black and Jeffrey Archer is a scandal. Who does Michael Winner think he is? He should be proud to accept this honour, as hundreds have done before him. At least toilet cleaners have pride and do not think they are any better than anyone else in society. The man, and I say that loosely, should get off his high horse and be proud to be given this award. In the male toilets at Euston Station they have a framed picture of George Stephenson, inventor of the Rocket and pioneer of locomotive passenger transport. Surely Kings Cross Station could seek to honour the self-regarding, snobbish and ignorant comments of this failed film director with a similar tribute? Michael Winner is either conceited beyond belief or simply wishes to generate publicity for himself. Either way, regardless of what one thinks of the UK honours system, it is an insult to all other OBE recipients. The more important question: Would anyone really want to accept an OBE knowing that they may be classified along with the likes of Winner? Good for him! There are far too many people receiving awards and most represent the "old boy network". Toilet cleaners deserve them more than most anyway. After a comment like that I think more highly of any toilet cleaner. They genuinely do a far more important and worthy job. Just imagine a world without toilet cleaners then imagine a world without Michel Winner and see which you would prefer to do without! Good on you Michael. The shame is that the honours have been devalued for so long by all political parties. Celebrities and other famous non entities are rewarded simply for being famous or making themselves rich. No wonder they have the spare time to do the occasional good work - most of us are too busy trying to earn a living and pay the chancellor's crazy taxes to be in the position to make the headlines. We just get on with it in our own, quiet way. Parents giving up evenings and weekends to help the PTA, looking after elderly and frail parents that the NHS have washed their hands of, trying to bring up young children in crime and drug-ridden areas whilst the politicians hand out these meaningless baubles. Michael Winner's remarks are an insult to the many people who carry out humble but essential tasks. A toilet cleaner in King's Cross station is of more use to society than a film director. Good for him! the honours list is a farce, too many people getting "gongs" for doing their job. Medals should be for above the call of duty, exceptional bravery. I think his comments are petty and disgraceful. There are very deserving winners of the OBE. Winner feels that there are also less deserving recipients: this is almost certainly true but to ridicule the award, and by implication all of its recipients, is an outrage. A bitter old man clearly thinks himself entitled to higher honours. A knighthood or a peerage for campaigning for the construction of a memorial? It was a noteworthy service but he is nowhere near that calibre. Shame on him.